Produced by Avon in 1978 was this Superman Bubble Bath. 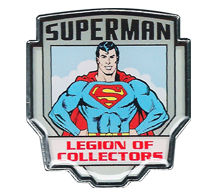 This figural container features a bold image of Superman standing atop buildings with his arms folded. The upper torso of the figure serves as the bottle’s cap cover and has a plastic cape. May 4, 2018 in HEALTH / GROOMING. At first glance, one might pass on picking up this box thinking that it’s just a trinket. This box, however, is well worth it. July 29, 2016 in BOOKS / MAGAZINES, FIGURES / STATUES. July 25, 2016 in HOUSEHOLD / OFFICE / SCHOOL.